For photographers, the perfect gift can far outlast the holidays, whether it’s nn extraordinary camera, a thought-provoking yook, or a life-changing experience. In honor of the season, our editors put together this list of 36 inspirational, unforgettable, quirky presents. 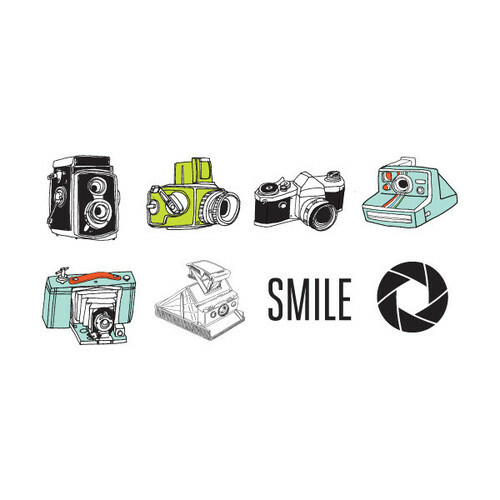 There’s something here for every photographer: the fine artists, the photojournalists, the portraitists, the foodies, and everyone in between. The majority of them were recently included in our epic giveaway at The Print Swap exhibition and holiday party at ROOT Studios. 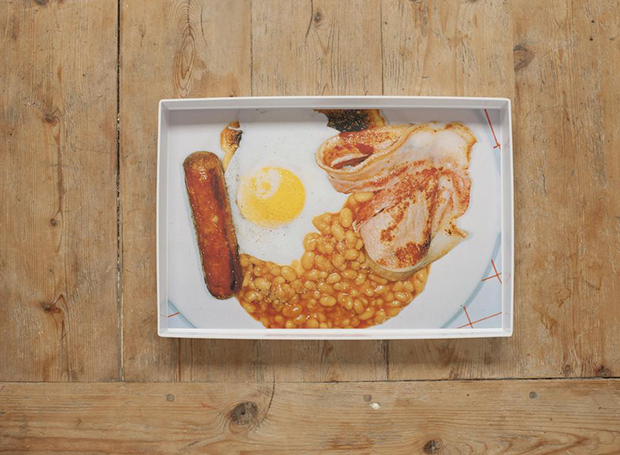 Magnum Photos English Breakfast Tray with Photo by Martin Parr, £42.50 Thanks to the Plinth/Magnum partnership, you can now purchase your very own breakfast tray printed with an image from Martin Parr’s famous 1995 book British Food. Magnum once wrote of the work, “Close-up, ring flashed images of everyday food from all parts of Britain invites the public to take a look at what they eat.” In the case of this tray, that’s taken to a clever and literal extreme. 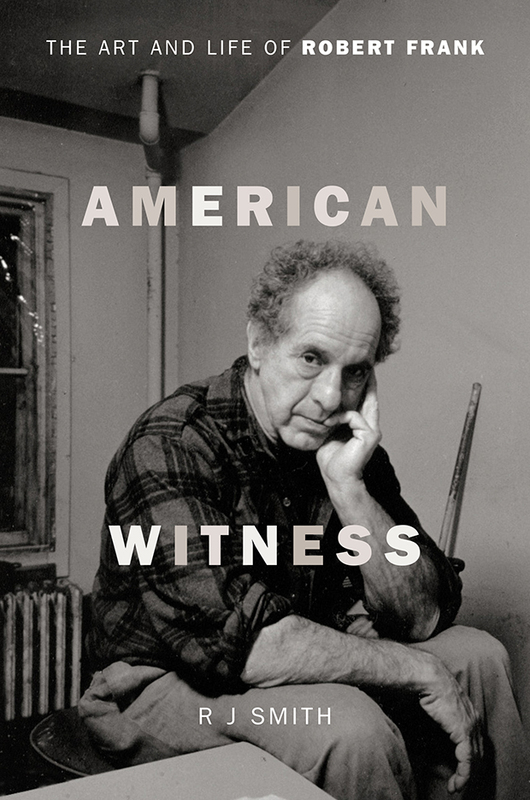 American Witness: The Art and Life of Robert Frank by R J Smith, published by Da Capo Press $22.48. Robert Frank left Switzerland in 1947 when he traveled to the United States, a country he would help define with The Americans. 70 years and tens of thousands of photographs later, the writer R J Smith tells the story of the person behind the pictures, tracing Frank’s journey as a young man in 1950s-60s New York, through his filmmaking days, and up until the present moment. 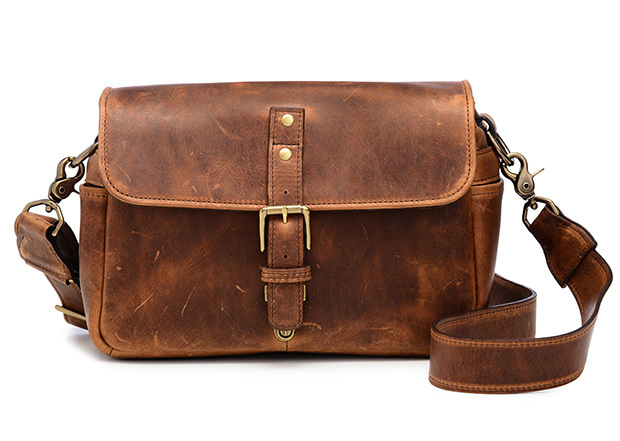 Leather Bowery camera bag by ONA, $249.00 With five pockets and a cushioned interior, the Bowery Bag by ONA is designed to carry a camera along with a couple of extra lenses and other small items. Because the strap is detachable, the Bowery Bag can be used on its own or as a protective insert for a bigger bag. This bag is made with full-grain, Italian-tanned leather, embellished with antique brass. Thanks to ONA’s Storytelling Fund, $10 of every purchase goes to grants for emerging photographers. 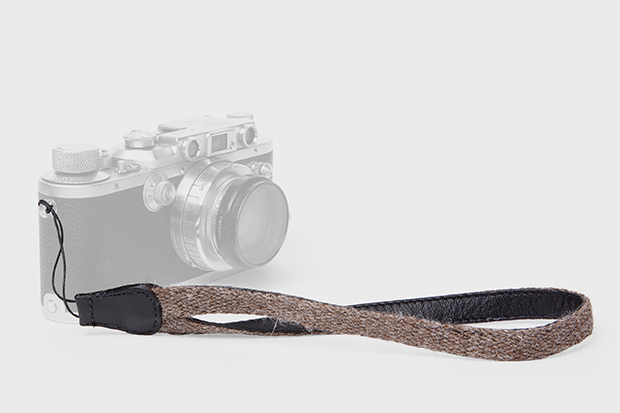 Cecilia Camera Straps, $40.00-$104.00 Cecilia offers camera and wrist straps in full-grain Argentinian cowhide leather and Peruvian baby alpaca textiles. Cecilia straps have been refined over decades, with the family business dating back five generations. Many of their straps are handmade in NYC. 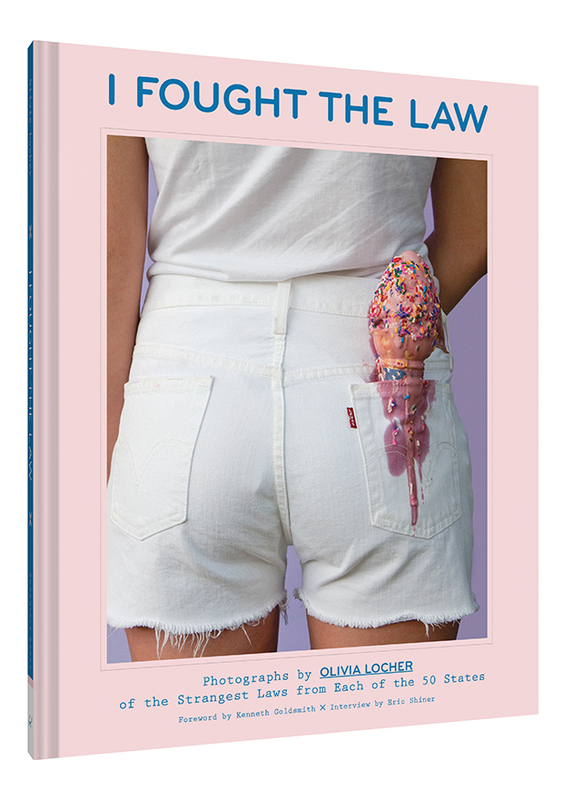 I Fought the Law: Photographs by Olivia Locher of the Strangest Laws from Each of the 50 States, published by Chronicle Books $16.95. Olivia Locher breaks some of the most outlandish laws in the United States in this volume of photographs that took the Internet by storm. With a forward by Kenneth Goldsmith and an interview by Eric Shiner, I Fought the Law takes us to all 50 states, revealing the often invisible sense of humor and absurdity that lingers behind our legal system. The transgressions photographed in the book include carrying an ice cream cone in one’s back pocket (illegal in Alabama), perming a child’s hair (illegal in Nebraska), serving wine in teacups (illegal in Kentucky), and many more. 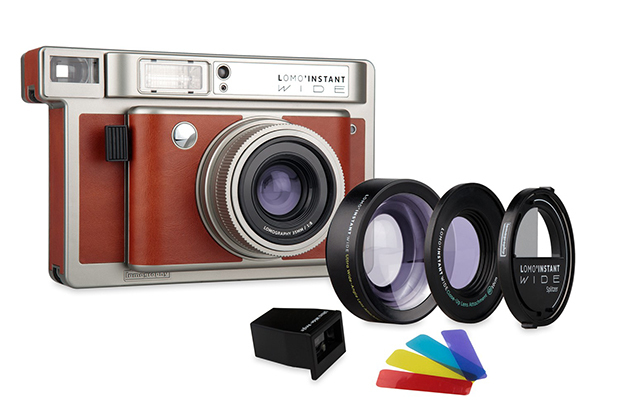 Lomo’Instant Wide Central Park + Lenses, $259 The Lomo’Instant Wide offers a new format for instant photos. Because it uses Fuji Instax Wide film, this camera captures images at twice the width of Instax Mini film. With two lens attachments and the ability to take large-format long exposures, color-flashed exposures, and multiple exposures, it even has a Fully Programmatic Shutter and Remote Control Lens Cap. 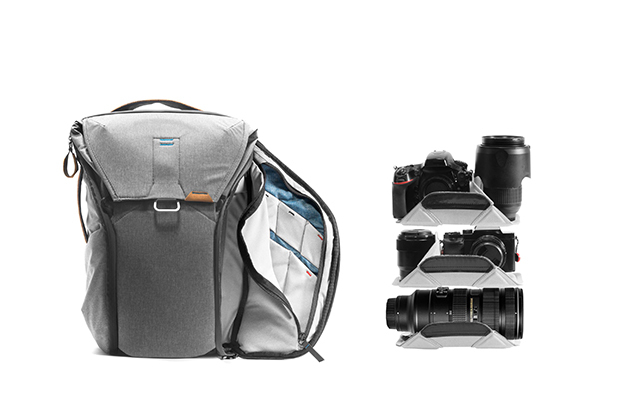 The Everyday Backpack, Everyday Tote, and Everyday Messenger Bag by Peak Design, $259.95,$189.95, and $219.95 These award-winning bags are perfect for photographers on the go, providing easy access to all your gear. Made of Weatherproof 400D nylon, these bags are easily customizable and expandable, accommodating cameras, lenses, laptops, drones, and all your other gear in one sleek and convenient package. 1% of every Peak Design sale goes to environmental non-profits. Projecteo, the tiny Instagram projector, $39.98 This fun, little projector might be compact, but it’s powerful enough to display your favorite images at whatever size you desire. Combining digital convenience with analog nostalgia, Projecteo allows you to select nine images from Instagram, which are then developed onto 35mm slide film and mailed to your doorstep. 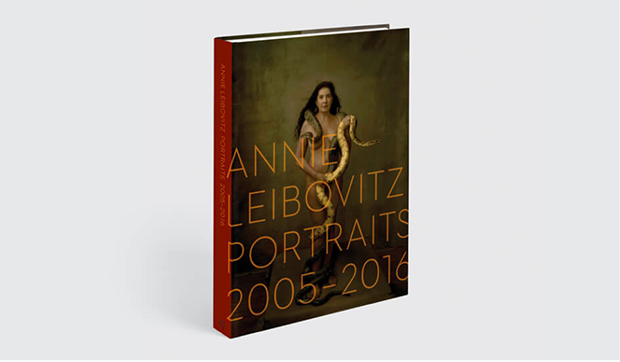 Annie Leibovitz: Portraits 2005-2016, published by Phaidon, $89.95 Picking up where Annie Leibovitz: Photographs, 1970-1990 and A Photographer’s Life, 1990-2005 left off, this new volume further enriches our understanding of one of the most talked-about photographers in history. This book features familiar images and those that have never been published, providing insight into Leibovitz as well as the many famous people who stood before her. Readers can get 30% off this title with the code THEPRINTSWAP30. Clear Sky Vanguard Notebook by Baron Fig, $14.00 This limited edition of the Vanguard Notebook by Baron Fig comes in packs of three with blank paper and a soft cover, perfect for on-the-go inspiration. 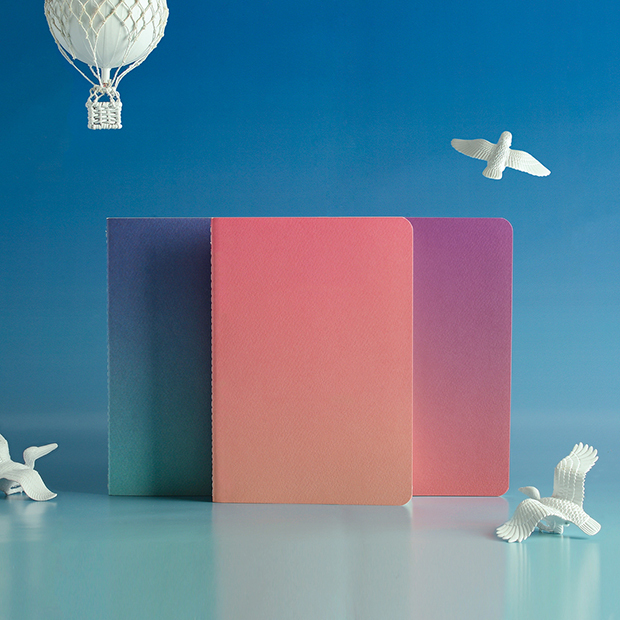 Keep track of your ideas in notebooks of three shades, each representing the sky during a time of day: sunrise, mid-day, and sunset. VINTA Camera Bag, $178-$228 Thousands of S Series/TYPE I VINTA camera bags have flown off the shelves since it was introduced last year. 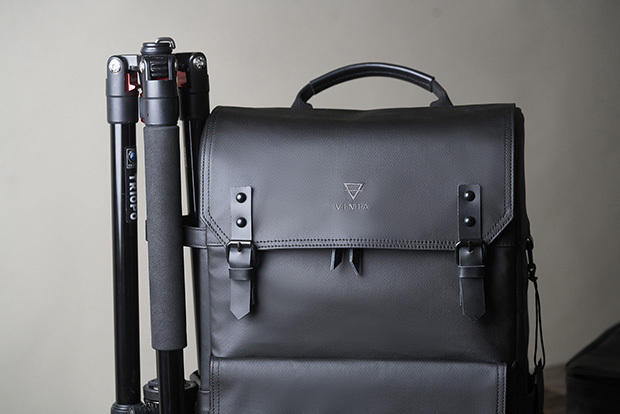 Now, VINTA is getting ready to introduce the TYPE II bag, updated with additional attachment straps, expandable side pockets, easy-access, intuitive compartments, and new materials for superior durability. The TYPE II bag has both a travel pack and a camera pack, making it suitable for adventures in the city and the rugged wilderness. olloclip Filmer’s Kit, $199.00 olloclip and Incase teamed up to create this custom kit for iPhone 7/7 Plus for videographers and photographers on the move. 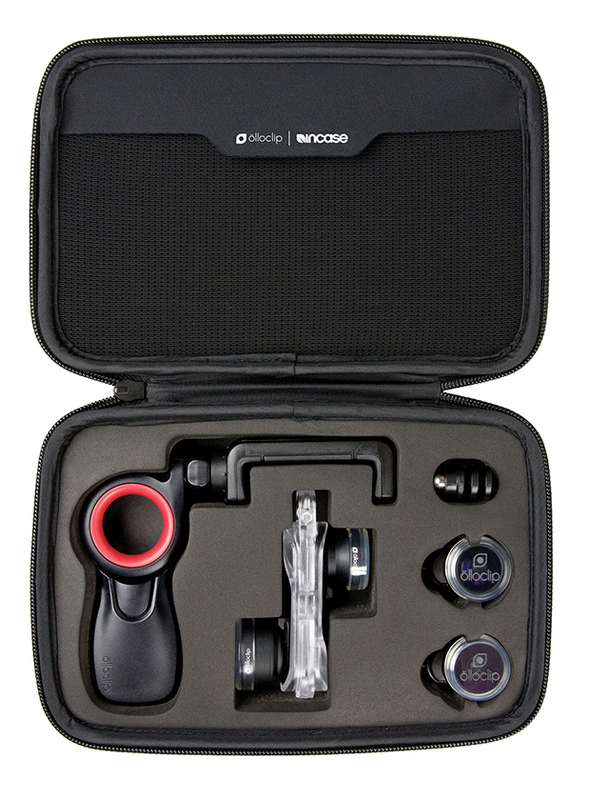 The kit includes a variety of five lenses for the iPhone and a video grip in one lightweight, convenient package. Less than 2000 kits are available, so get yours quickly. 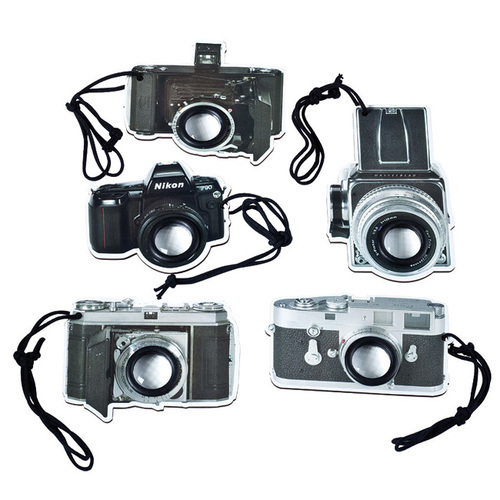 Magnum Photos Silk Scarf with Photo by Chris Steele-Perkins, £140 In celebration of the 70th Anniversary of the founding of Magnum Photos, Plinth presents a collection of objects made using some of the most recognizable photographs from the agency’s history. 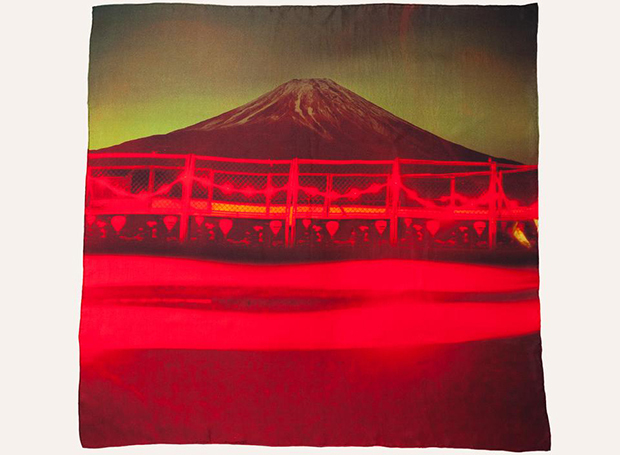 On this silk scarf, we find one of Chris Steele-Perkins’s iconic pictures of Mount Fuji. 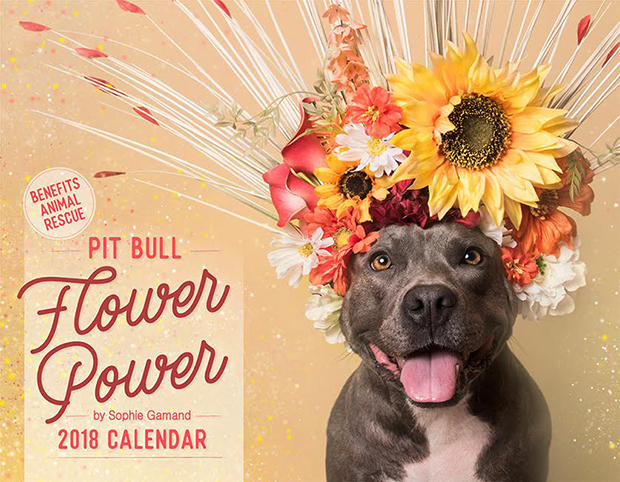 Pit Bull Flower Power Calendar by Sophie Gamand, $30 The photographer Sophie Gamand has spent countless hours with adoptable shelter dogs, many of them pit bull type dogs. These dogs are often misunderstood, leaving many of them without families. In the United States alone, a homeless pit bull is euthanized every thirty seconds. Gamand’s viral Flower Power series captures the true nature of these animals, who, like all shelter dogs, are patiently waiting for a home for the holidays. Since 2016, she has created these calendars to benefit animal rescue. All of the models in Gamand’s 2018 calendar are still available for adoption. “Collectively, they have been waiting for over 15 years,” the artist writes. There’s both an adult edition and a puppy edition. 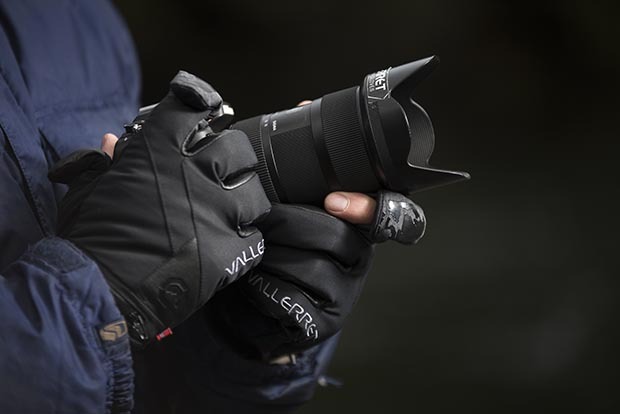 Vallerret Photography Gloves, €28,88 – €82,60 Made with 100% Merino Wool to keep your fingers toasty and dry in even the most brutal conditions, these gloves give wearers convenient access to camera gears so you can change settings without a fuss. They come with photographer-specific features, ranging from microfibre lens wipe thumbs to a non-slip grip to SD-card pockets. 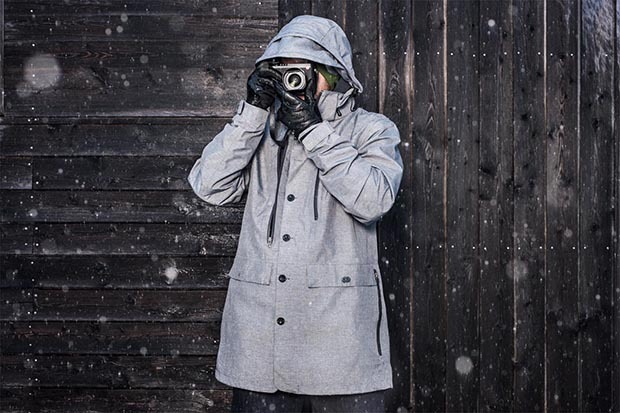 Founded by snowboarders Carl van den Boom and Stine Lyng Jørgensen in Voss, Norway, Vallerret empowers you to stay outside longer and get better shots without freezing your hands off. 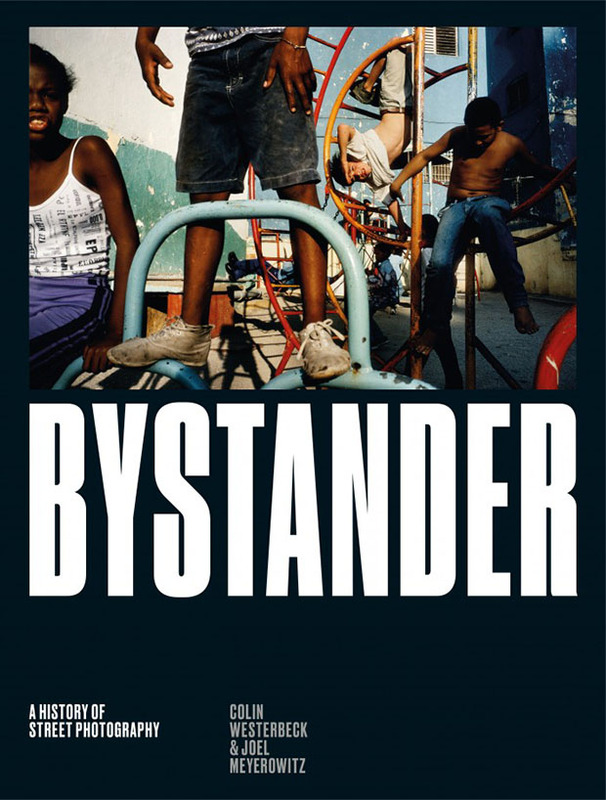 Bystander: A History of Street Photography by Colin Westerbeck and Joel Meyerowitz, published by Laurence King, $65.00. Chronicling the history of street photography from 1946 to 2016, this revised edition of Bystander, initially released in 1994 and hailed by critics as “the bible of street photography,” provides further insight into the past, present, and future of the genre at a critical point in time. The great curator Colin Westerbeck joins Joel Meyerowitz in a study of work from the masters, ranging from Atget and Brassai to Frank and Arbus. Looking Glass Factory L3D Cube, $200 In partnership with Kickstarter, the New Museum Store presents a 3D LED Cube that responds to sound and motion. No programming necessary, but you can download new applications and create your own programs if you wish. 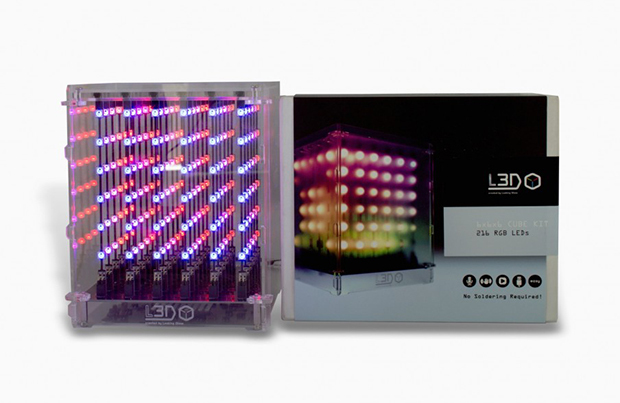 Create your own light show, and interact with L3D Cube owners around the world. GNARBOX 128GB Portable Backup & Editing System, $299 The GNARBOX is a small device that eliminates the need for bulky laptops in the photo editing process. 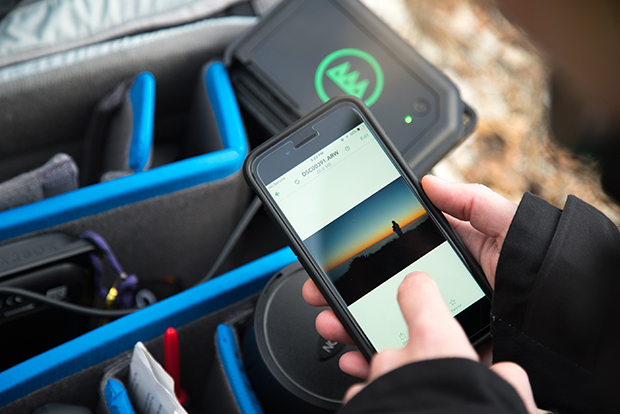 Suited to more than 500 cameras and durable in tough conditions (it’s dust-proof and waterproof), the lightweight GNARBOX works with your phone and camera card to help you back up, share, and edit your photos and videos (even 4K and RAW) while you’re on the move. 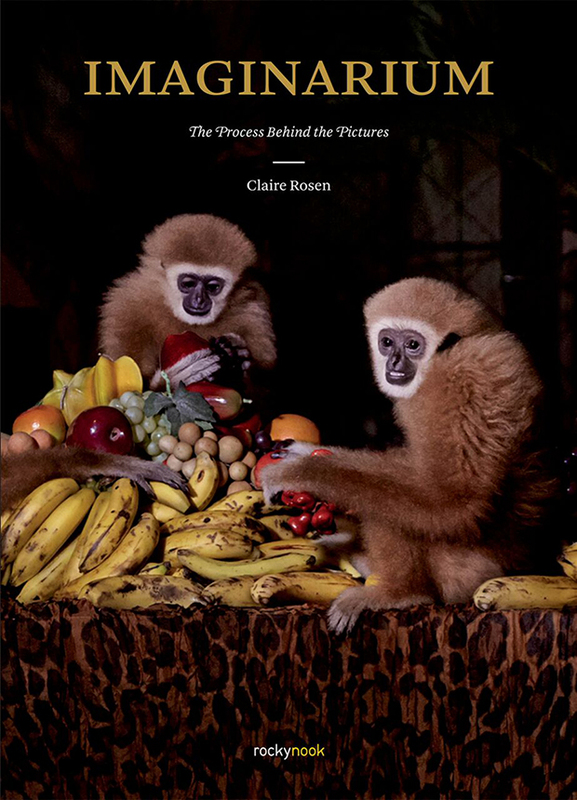 IMAGINARIUM: The Process Behind the Pictures by Claire Rosen, published by Rocky Nook $49.99 The photographer Claire Rosen takes us behind-the-scenes and into the creative mind with this fun, moving how-to book for artists. In an honest exploration of the joys and pitfalls of making work, Rosen takes us through the entire process, from brainstorming to editing. She illustrates her suggestions and backs them with anecdotes from both herself and other influential photographers, including Maggie Steber, Roger Ballen, Robin Schwartz, Gabriela Iancu, Eleanor McNair, and Sara Lando. 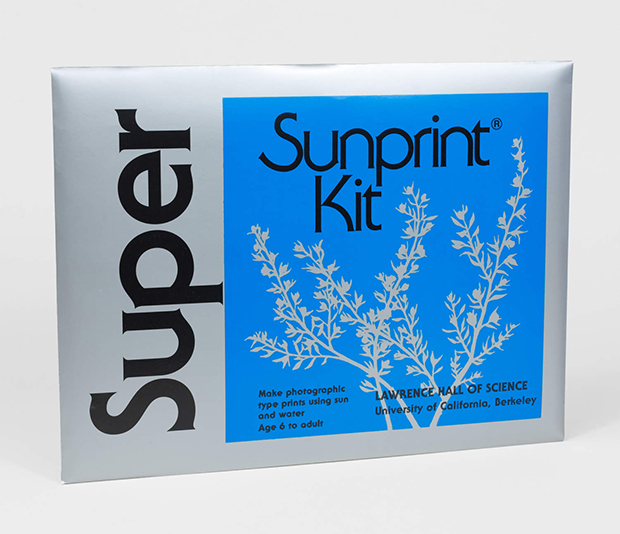 Sunprint Kit by the Lawrence Hall of Science, UC Berkeley Return to the basics and make cameraless art with this easy-to-use sunprint kit. Simply design your composition by putting objects over the photographic paper and let it sit in the sun. Each image is permanently fixed with water. Photobook of the Month Club by Charcoal Book Clun, $58-$65/month The Charcoal Book Club, founded by a group of photographers, publishers, and filmmakers, delivers a curated selection of photobooks right to your door. Featured books range from established classics to works by exciting, emerging artists, all museum-quality and handpicked by experts. Part of the fun is that you won’t know the book of the month until it arrives! 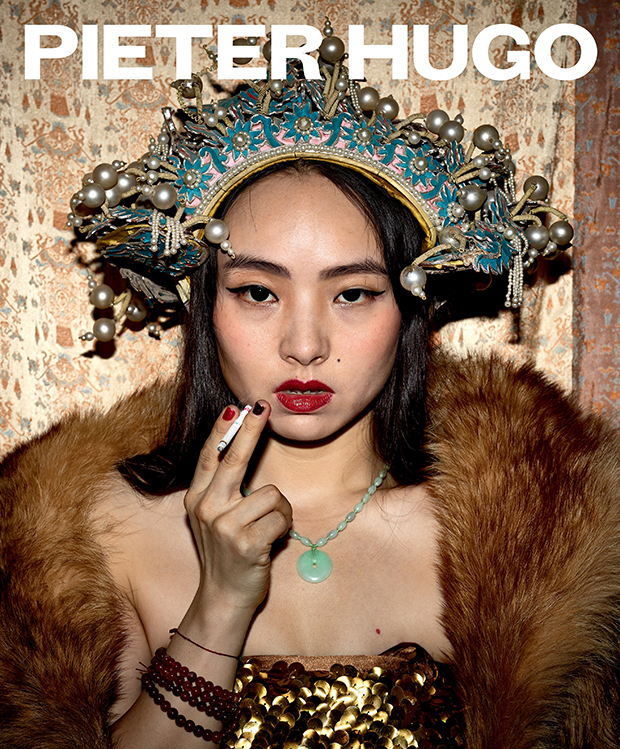 Pieter Hugo: Between the Devil and the Deep Blue Sea, published by Prestel $60.00 Bringing together images from all of Pieter Hugo’s most influential projects, Between the Devil and the Deep Blue Sea follows the South African photographer in his travels through (post-genocide) Rwanda, Ghana, Nigeria, the US, and China. The retrospective book is edited by Ralf Beil and? Uta Ruhkamp and includes first-person accounts from Hugo. 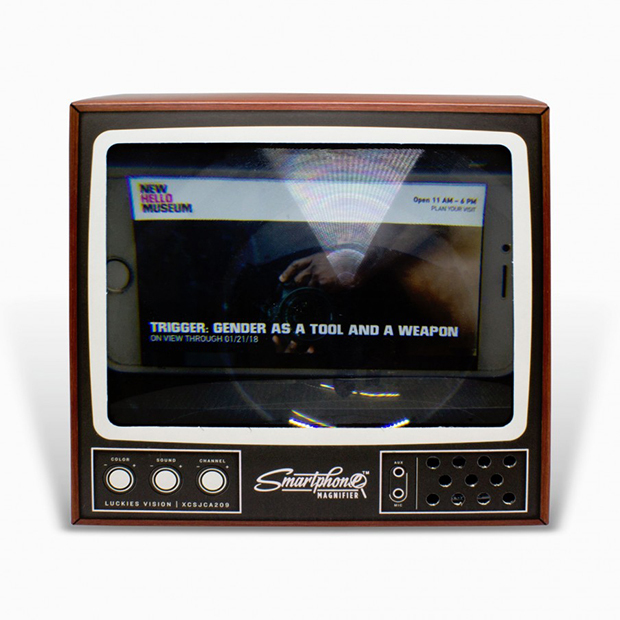 Smartphone Magnifier, $30.00 This hands-free retro-inspired gadget magnifies images and moving pictures on your Smartphone up to twice the size so you can watch movies–or edit your photos–without a hassle. Simple load your phone into the back, and let the magnifier do the rest. Available via the New Museum Store. 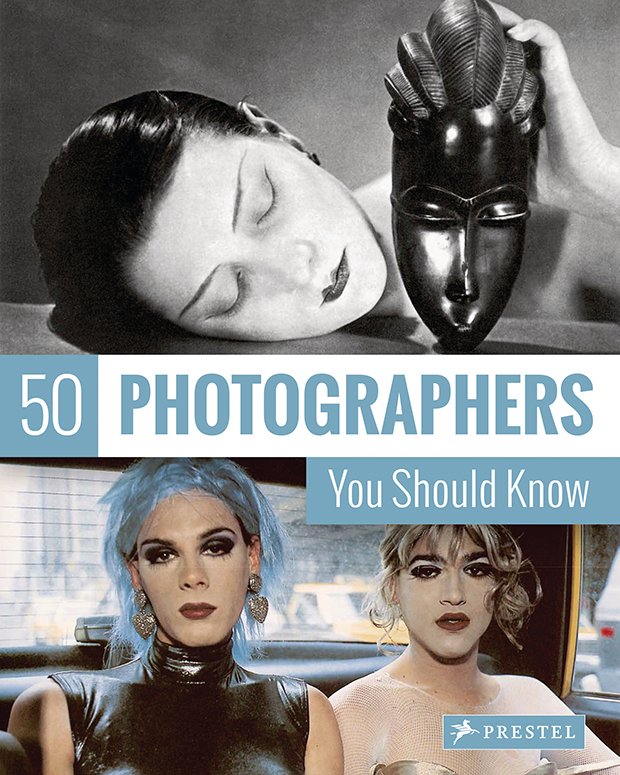 50 Photographers You Should Know by Peter Stepan, published by Prestel, $19.95 Take a journey through 150-plus years of photo history in this book by Peter Stepan. Find beautiful reproductions of some of the most important photographs of all time, with featured artists ranging from Nadar to Atget to Evans to Goldin. Whether you’re beginner looking for a crash-course or an expert seeking new insights into some of the greatest minds to ever stand behind a camera, this book is for you. 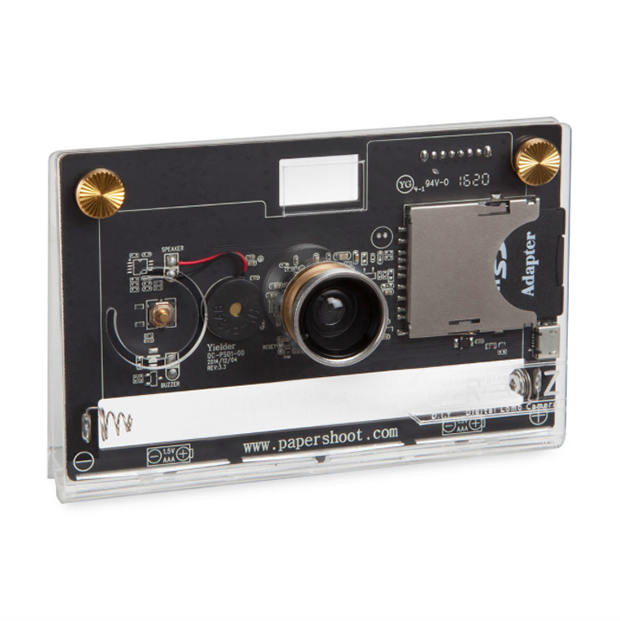 CROZ DIY Digital Camera, $140 This clever digital camera is lightweight and easy to use. The CROZ DIY Camera has one switch for the shutter and another for camera effects like wide-angle and fisheye. That’s it! It’s super straight-forward and lots of fun. Available via the MoMA Design Store. 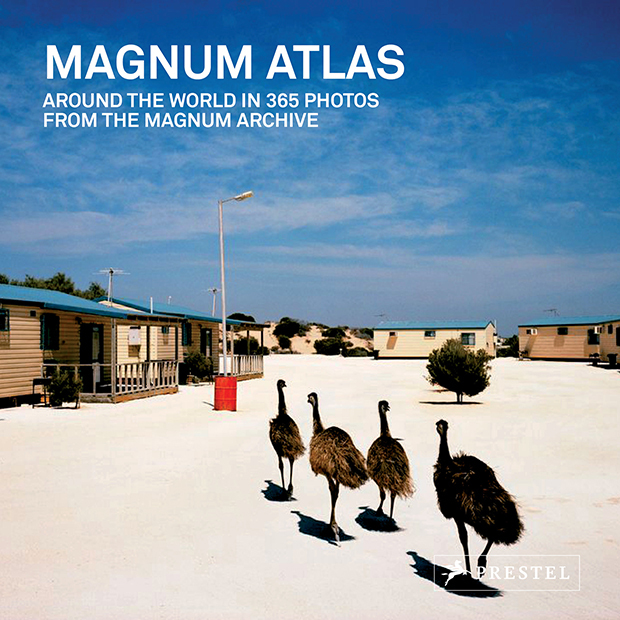 Magnum Atlas: Around the World in 365 Photos from the Magnum Archive, $29.95, published by Prestel In the wake of the much-acclaimed book A Year in Photography: Magnum Archive, Prestel presents this second volume with new images from the agency’s history. Featuring images by founding members like Robert Capa, pioneers like Martin Parr and Bruce Davidson, and newer members like Alessandra Sanguinetti, Mikhael Subotzky, and Olivia Arthur, this book is a testament to the human condition and those who dare to document it. 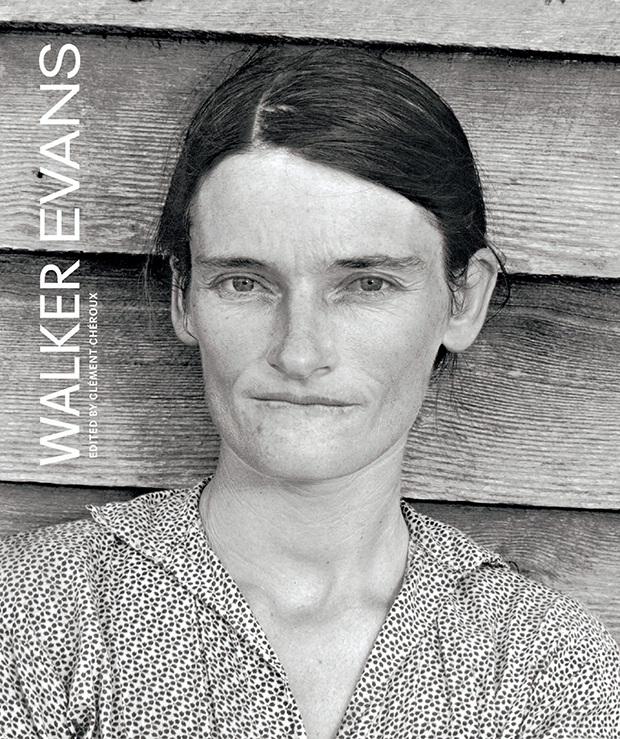 Walker Evans by Clément Chéroux, $65.00, Published by Prestel Writers and critics, ranging from Susan Sontag to Tod Papageorge, have long revered Walker Evans. Now, Clément Chéroux, Senior Curator SFMOMA, takes his seat at the table with this retrospective book. Examining Evans’s relationship to his country and its people, Chéroux sheds light not only on the photographer but also the man behind some of America’s most recognizable and defining images. The book also features fascinating objects from Evans’s life, including postcards and writings. 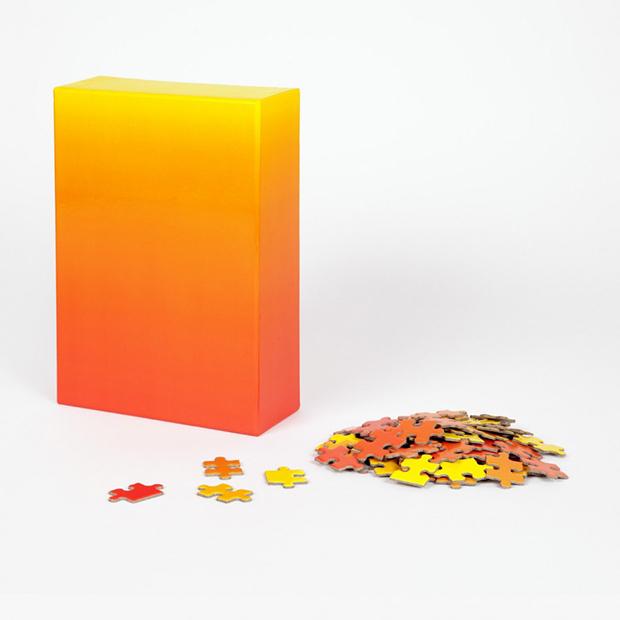 Bryce Wilner’s Gradient Puzzle, $20.00 Another best-seller from the New Museum Store, this puzzle from graphic designer Bryce Wilner offers a fun challenge for anyone obsessed with color. The pieces are longlasting, meaning the puzzle can be taken apart and put back together over and over. The puzzle comes in red/yellow, blue-green, and black/white gradients. 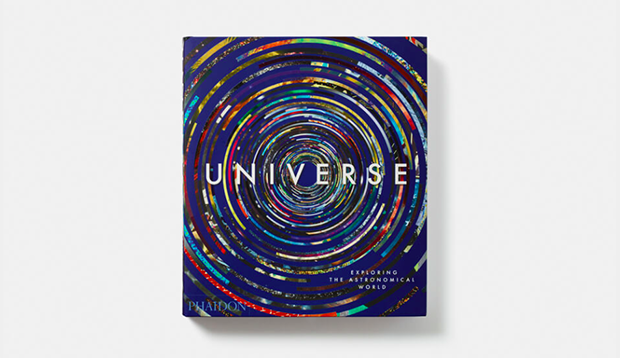 Universe: Exploring the Astronomical World by the Phaidon Editors, $59.95 This book takes readers on a historical trip through the Cosmos, examining humankind’s complex relationship with what lies behind our horizons. A panel of experts on the subject selected 300 images to include, with examples ranging from early cave paintings to photography, animations, and digital renderings. The perfect blend of science and art, Universe asks many questions and answers a few along the way. Readers can get 30% off this title with the code THEPRINTSWAP30. 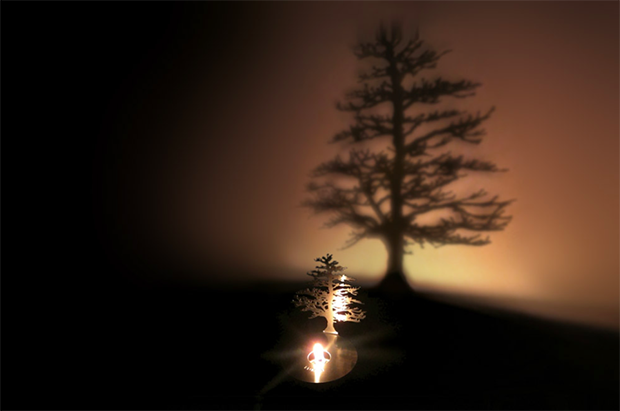 LUMEN FLAME shadow projector by Adam Frank Incorporated Designed by Adam Frank, this mesmerizing oil lamp shadow projector transforms any pale-colored wall into a work of art. 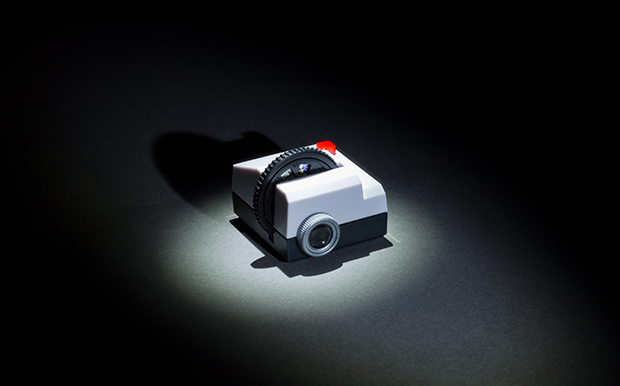 The stainless steel projector is small and convenient at only three inches tall, while the cast shadow reaches 18 inches. Two wax calls by Hollowick are included; each lasts 17 hours. Email [email protected] for more details. Tattly Photography Tattoo Set, $15.00 These temporary tattoos from Tattly are conceived by influential illustrators/designers like Julia Rothman, Tina Roth Eisenberg, Jason Santa Maria, and Raul Gutierrez. The tattoos come in a set of eight and last two to four days. 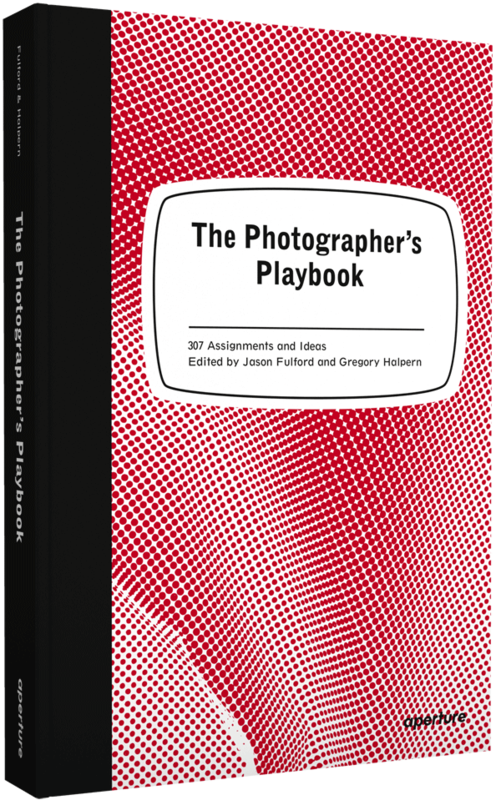 The Photographer’s Playbook: 307 Assignments and Ideas, Edited by Jason Fulford and Gregory Halpern, $16.22 Jason Fulford and Gregory Halpern edit this book of fun and unusual photography assignments, accompanied by stories and anecdotes from some of the best artists working today. With quirky and ingenious contributions from the likes of Roger Ballen, John Baldessari, Tina Barney, Philip-Lorca diCorcia, Jim Goldberg, Miranda July, Susan Meiselas, Stephen Shore, Alec Soth, Tim Walker, and more, it’s no wonder The Photographer’s Playbook is an Amazon #1 Best Seller in the Photography Criticism & Essays genre. A must-have for anyone studying or teaching photography. 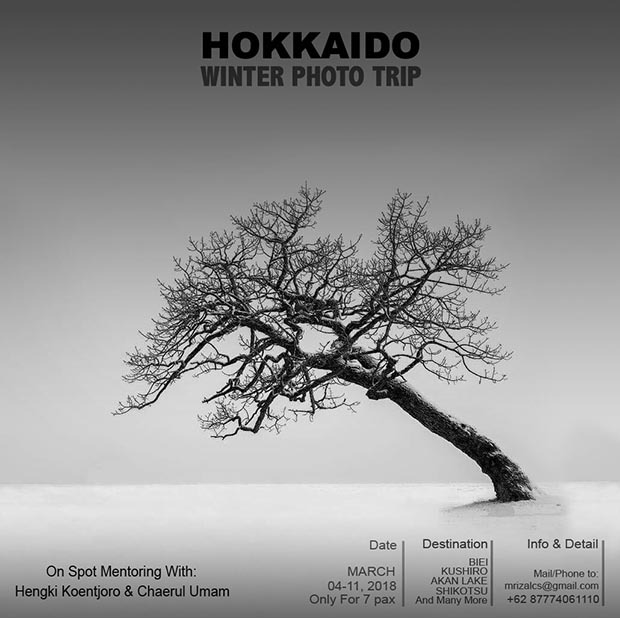 Hokkaido Winter Photo Trip with On-Spot Mentoring with Hengki Koentjoro and Chaerul Umam, $2800 Join photographer Hengki Koentjoro and filmmaker Chaerul Umam on a once-in-a-lifetime trip to Japan this March 4th-11th. With an emphasis on black and white minimalism, participating photographers will visit some of the most beautiful places on the planet, including the Arashiyama Forest, the crystal ice-covered Toyokoro beach, Shirahige Park, Lake Shikotsu, the iconic Christmas tree in Biei, and many more. Food is included. There is still some space available so, email [email protected] to reserve your spot. 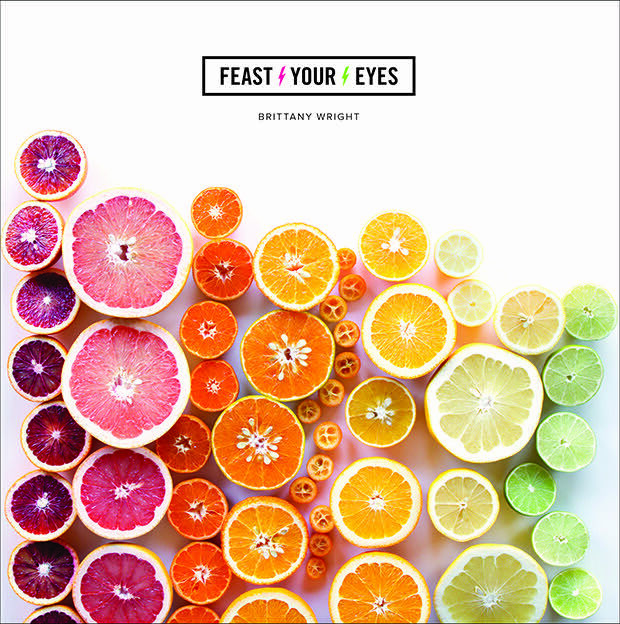 Visual Feast: Contemporary Food Staging and Photography by Gestalten A quirky, appetizing book of photographs, Visual Feast contextualizes the Instagram-era’s obsession with snapping food. 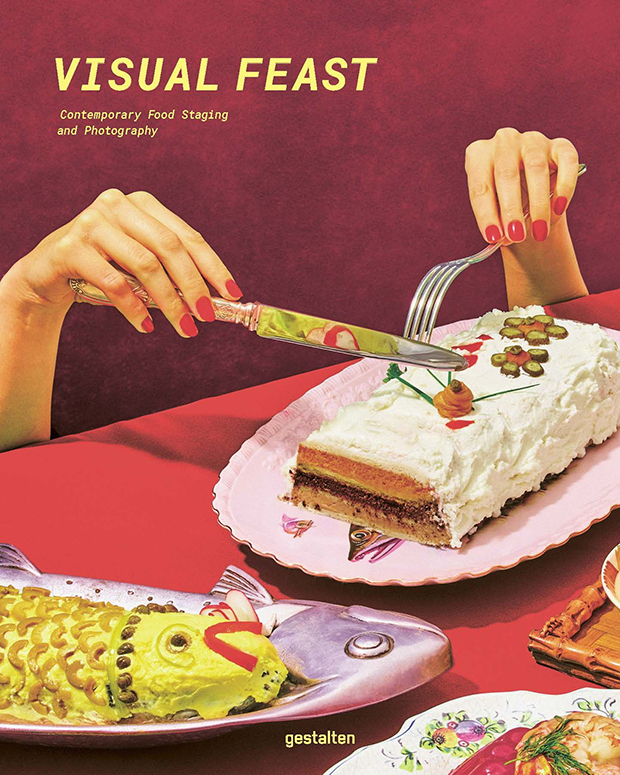 Humorous, colorful, and elaborately staged, these images appeal to the eyes, the tummy, and the intellect. Optrixx Looking Eyes by Werkhaus, $10.00 Werkhaus presents a modern take on vintage looking eyes. Handmade in Germany, the Optrixx comes in Kodak, Leica, Hasselblad, Zeiss Ikon, and Nikon designs. These looking eyes can be used in the traditional fashion– to multiply the objects in front of you hundreds of times–but they can also be held in front of your camera to create surreal images.